Posted on July 19, 2016. Subscribe to our blog by email. Welcome to the July 2016 issue of the Global Washington newsletter. It was 1994 and I was in the Dominican Republic when I got caught in a torrential downpour. The dirt, mountain road I was on became completely washed out to the point where my car could not go any further. I was stranded. Two incredibly generous Haitians invited me into their small shelter to wait out the storm. Their home had no electricity, a leaky roof, and it was the only structure within miles. These are the people that are all too often left out of international development programs because they are so hard to reach on the “last mile” of the road. Several Global Washington members are specifically working to improve the lives of those living in remote areas and they’re highlighted in the issue brief below. Two unique models are also featured this month — World Bicycle Relief that is increasing mobility and connectivity for people in rural areas, and VillageReach whose tagline is “Starting at the Last Mile.” These organizations are truly an inspiration to me. I hope you enjoy these summer months and take time to reflect and recharge. In the fall, Global Washington will spotlight the issues of global education, mass migration and fragile states, and financial inclusion. In the meantime, I hope to see you at one of our upcoming events. What are you most looking forward to at this year’s GlobalWA Conference? In addition to the regular features, are there any topics or speakers that you would like to see included? The 2014 Ebola outbreak in West Africa amounted to over 27,000 infections and 11,000 deaths, costing billions of dollars in economic loss and international aid spending. This crisis was traced back to a single two-year-old boy living in rural Guinea, a part of our world where services, such as healthcare, are extremely hard to deliver. We call this part of the world the last mile. In economic terms, the last mile is the final leg in point of service delivery or retail sale. In international development terms, reaching the last mile, or rural, often isolated communities, involves reaching villages without paved roads, with little access to communication and poor infrastructure. Without services flowing in and out of these areas, people are disconnected from valuable products and often left in a perpetual state of poverty. Seventy-five percent of the world’s poor live in rural areas with insufficient access to education, healthcare, clean water and sanitation. The percent of children not in school in rural areas is twice as high as in urban areas, and children in rural areas are 1.7 times more likely to die before their fifth birthday in comparison to urban areas. Nearly half of those living in rural areas lack improved sanitation facilities, and one in four practice open defecation. Investment in rural areas has been slow with policies often catering to the urban poor. Agricultural investment, which many rural families depend on, has been stagnant or declining for the past three decades. According to the Food and Agriculture Organization of the United Nations (FAO), an additional 50 percent in annual investment is needed to eradicate huger and increase food production by 2050. 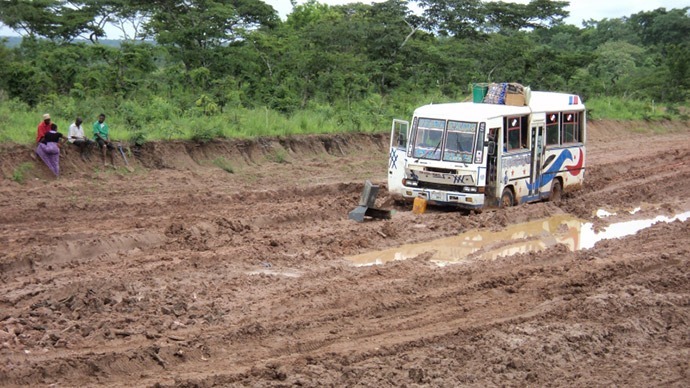 Part of the difficulty in reaching the last mile, in addition to the human and financial constraints and lack of infrastructure, is that interventions and services are not designed or equipped to reach these unique environments. In order for last mile solutions to be sustainable, they must address challenges specific to low-resource settings. While countries have policies to define how the supply chain should operate, a lack of resources can make the process on paper inconsistent with reality. Supply chain logistics might not be a popular cause for donors, but investment in it is crucial. A number of organizations focus on using technology to bring services to those living in last mile regions. VillageReach uses information and communication technology specifically designed for low-resource environments to optimize data collection, improve data visualization and improve communication to ensure quality healthcare delivery. 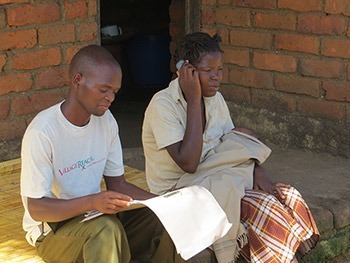 World Vision’s Last Mile Mobile Solutions were designed to streamline and improve upon aid delivery, whereby information can be exchanged wirelessly without the need for mobile phone networks, Internet connectivity or electricity. And World Concern, working with Seattle start-up ScanMyList, created a mobile app to streamline the process of tracking food distributed to poor rural families, as well as payments to local merchants in drought stricken areas in the Horn of Africa. In addition to NGOs innovating new technologies to reach the last mile, public-private partnerships are also helping in this endeavor. Melinda Gates questioned why, if Coca-Cola can reach remote areas of the world, vaccines, medicines and other necessary services can’t also reach these places. This prompted the launch of Project Last Mile in 2010, a collaboration between The Coca-Cola Company, The Coco-Cola Africa Foundation, The Global Fund, United States Agency for International Development and the Bill and Melinda Gates Foundation. In 2014, the partners announced they would invest $21 million, as well as in-kind resources, in order to deliver needed health services to ten African countries by 2020. The consequences of not reaching the last mile affect everyone. When products and services cannot reach remote areas of the world, local and global economies are affected. When education services, food and improved sanitation cannot reach people everywhere, global development progress is slowed. And when needed health services cannot reach people living in the last mile, 11,000 people may die unnecessarily from disease outbreak. Below are several Global Washington members who focus their work on reaching the last mile. Adara Development was established out of a passion to deliver essential services to people living in extreme poverty in extremely remote locations. That passion took Adara to the Humla District of Nepal, a community of more than 50,000 people who live high in the Himalayas with limited access to government and other services. They have some of the nation’s lowest literacy rates, their maternal and infant mortality is well above the national average, their sanitation is inadequate, and they run short of food each winter when families are sometimes snowed in for months. To address these challenges, and at the request of the community, Adara focused interventions in two main areas: community health and education. Humlis are now more often sending their children to school, trafficking has been almost eliminated from the district, complaints of respiratory and diarrheal disease have decreased, and families now have access to health services through the provision of health and roaming medical camps. Even in poor Central American countries, the urban underclass accesses services, infrastructure and economic opportunities that the rural poor only dream of. Robbed of security, stability and hope, generationally illiterate rural families are forced to migrate for menial labor and raise children without sanitation, education or healthcare access. Here in these “last mile” communities, Agros International offers families the opportunity to rebuild the social, economic and civic systems that characterize dignified life. For 34 years, Agros has been going deep and prioritizing impact, giving rural poor families the chance to own land, plug into health and education systems, develop profitable, market-led agricultural businesses and establish community organizations. Eventually, as families pay off a land loan financed by Agros and reach milestones on Agros’ Path to Prosperity development framework, their communities transition to sustainable self-governance. Agros’s mission is to provide a fair opportunity for families to reach their God-given potential and permanently break the cycle of rural poverty. Awamaki is a nonprofit social enterprise that empowers rural Andean women with skills training, connects them to global market opportunities and enables them to earn an income to transform their communities. Awamaki strives to teach women’s cooperatives to start and run their own businesses through its programs in fair trade artisanal crafts and sustainable tourism. With the help of Awamaki staff and volunteers, Andean women are able to sell their products to international retailers of ethically-sourced handmade goods, connect with global volunteers who make a difference, and welcome tourists into their culture. Awamaki envisions these highly-skilled Andean women artisans from remote communities engaged in the market economy, running successful cooperative businesses and leading their communities out of poverty. Because buildings can transform lives, Construction for Change (CfC) provides construction management to under-resourced communities that have identified the need for a building to house their critical work. They do this through partnerships with nonprofits, by leveraging a vast networks of volunteers, tapping into resources and expertise, and transferring industry standards and best practices. An organization’s ability to make an impact in their community is directly affected by the infrastructure they have at their disposal. Here’s why: global populations are increasing at exponential rates and new infrastructure is required to keep up with growing demand for education, healthcare and social services; current infrastructure in last mile communities is often unsafe and insufficient, if it exists at all; and government budgets, the traditional source of funding for CfC infrastructural projects, has dramatically decreased in recent years, leaving a significant gap in resources. Together with global partner communities, CfC is building towards the end of the last mile to establish a just and equitable society for all. Guided by the United Nations Millennium Development Goals, Guatemala Village Health (GVH) develops and implements programs that involve communities and their leaders in moving toward a healthier life. The organization’s work is focused on three key areas: education, health and economic development. Within education, GVH provides students with basic health and nutrition information, as well as offers scholarships for continued learning; it trains midwives and provides birth kits for healthy deliveries; and it provides residency training opportunities for U.S. doctors in rural Guatemala. Within healthcare, GVH is working to improve childhood health and nutrition, maternal health, midwifery, preventive dentistry, sanitation, and chronic disease treatment. And finally, GVH is providing microfinance support for an artisan textile project. Over 750 million adults are illiterate, and 1.4 billon people live without electricity. Illiteracy and lack of access to knowledge inhibit socioeconomic development and equity in remote and rural areas. Literacy Bridge aims to significantly improve the health, income and quality of life for the world’s most underserved communities by providing life-changing knowledge through innovative technology. 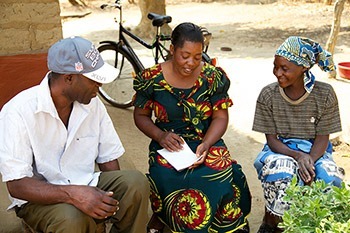 Literacy Bridge provides a comprehensive program that uses an audio learning computer, the Talking Book, to deliver relevant, accessible and accurate information on health and agricultural challenges, including messages on financial services, marketing and gender issues. They leverage local expertise and existing research, recording messages in song, drama and interview formats, as well as in local languages and dialects. Through a dedication and focus on research and development, Literacy Bridge programs are a continual learning lab with carefully designed and tested feedback loops and mechanisms to ensure delivery of the latest information in a continually improving, creative learner-centered program. Schools for Salone is a nonprofit that revitalizes Sierra Leonean communities, empowers children and improves socioeconomic conditions for families, communities and future generations. Schools for Salone improves access to and quality of education, and has built 18 schools and 3 libraries since 2005. They also train teachers at intensive summer institutes. With a proven track record of working with Sierra Leoneans as they rebuild after a ten-year civil war, the organization builds new schools within three months after funds are raised. Through opportunities that only an education can provide, Schools for Salone strives to break the cycle of poverty, one school at a time. 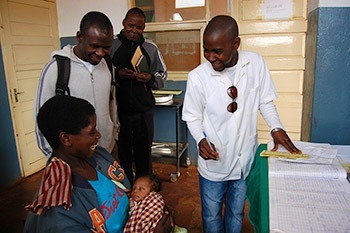 VillageReach is a global health innovator that develops, tests, implements and scales new solutions to critical health system challenges in low-resource environments, with an emphasis on strengthening the “last mile” of healthcare delivery. VillageReach improves health outcomes by extending the reach and enhancing the quality of healthcare, focusing on the most critical barriers at the last mile: lack of infrastructure, information availability, healthcare access, and human resource constraints. With more than a decade of experience studying and working in low-resource communities around the globe, VillageReach capabilities include supply chain design, software development, human resources for health, advocacy and change management, and private sector engagement. Through partnerships with governments, local communities and other non-governmental organizations, VillageReach combines expertise across public health, technology, and business to bring life-saving innovation – new systems, programs and technologies – to scale and sustainability. In rural developing countries, a bicycle is a powerful tool that can connect students with education, health care workers with patients and entrepreneurs with markets. In these remote, rural areas, often the primary mode of transportation is walking and distance becomes a barrier to accessing education, health care and economic opportunities. Riding a bicycle is four times faster than walking; with the efficiency a bicycle provides, people can accomplish so much more. World Bicycle Relief provides rugged, high quality bicycles to students and health care workers through study-to own and work-to-own programs. Reliable transportation is a basic building block of any economy, big or small, and a bicycle can spark the tremendous untapped human potential in rural developing areas and mobilize millions to change their lives. Dave Neiswander, President of World Bicycle Relief (WBR), remembers his first trip to Zambia in 2007. As he rode in the back of a pick-up truck with WBR co-founder Leah Missbach Day, they imagined seeing bicycles along that same road connecting resources to people living in the last mile community of Palabana. Today, WBR has provided over 15,000 Buffalo Bicycles to the rural, isolated area of Palabana, and their dream has become a reality. WBR was founded when FK Day, who also founded SRAM Corporation (a bicycle parts manufacturer), and his wife Leah wanted to find a way to reconnect people to resources after the 2004 Indian Ocean Tsunami. Approximately 24,400 bicycles were donated to people in Sri Lanka; one-third went to healthcare workers, one-third to students and one-third to entrepreneurs. “A post-evaluation done on this program showed that the bicycles made a big difference in terms of connecting people to schools, clinics and the marketplace,” Neiswander explained. World Vision, WBR’s field implementation partner in Sri Lanka, then asked WBR to help provide volunteer health workers with bicycles to reach more people living with HIV/AIDS in sub-Saharan Africa. At that time, the bicycles available in Africa were not reliable and required frequent replacement. “We call them BSOs – bicycle shaped objects,” said Neiswander. This inspired FK Day to build a new bicycle, one that was made for the tough terrain of rural communities. As WBR continued to improve their bicycle design, which is now on its 17th generation, NGOs and local businesses began to inquire about purchasing the bikes. Thus, the social enterprise Buffalo Bicycles Ltd. was born in 2009 with the proceeds funding WBR philanthropic endeavors. During its tenure, WBR has successfully partnered with the United States Agency for International Development and the UK’s Department for International Development for programs in Zambia and Zimbabwe. 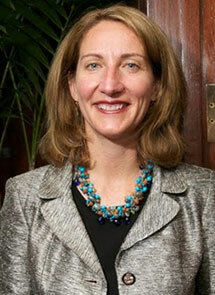 WBR has also collaborated with corporate partners such as UBS, Volkswagen, Deloitte and Mondelez International, Inc. Since its founding in 2005, WBR has delivered nearly 300,000 bicycles to 18 different countries. Today, WBR focuses on three main program areas: healthcare, education and economic development. And impact evaluations have shown program success. Buffalo Bicycles, which are designed to carry 100kg, allow people to carry five times more weight and travel four times the distance when compared to walking. Entrepreneurs using Buffalo Bicycles can increase profits by 50 percent, and healthcare workers can reach 40 percent more patients. Buffalo Bicycles have also increased student attendance by 28 percent, and increased academic performance by 59 percent (especially among girls who receive 70 percent of the bikes in WBR’s education program). WBR does much more than just drop off bikes. Partnering with local and international development organizations, WBR runs programs in Zambia, Kenya, Zimbabwe and South Africa. “We want to make sure that it is not just about dropping off bicycles and leaving,” Neiswander explained. “We train field mechanics — 1,209 have been trained to date — and ensure a robust spare parts supply chain in order to make a sustainable impact.” Within the healthcare and education programs, WBR holds distribution ceremonies within the local community, whereby the healthcare workers or students publicly sign a contract for their bicycles. The contracts are two-year service-to-own or study-to-own agreements, with the understanding that they will lose their bicycle if they drop out of the program. After 15 years at PATH, most recently serving as interim Country Program Director for PATH India, along with extensive education, training and a passion for global health, Evan Simpson is embarking on a new journey. As the new President of VillageReach, a post he took over earlier this month, Simpson will lead efforts to bring innovative global health solutions to the last mile. Accessing remote or isolated communities, often rural, to deliver needed services such as vaccines, interventions or health information is what reaching the last mile is all about. This has been the focus of VillageReach’s efforts since it was founded in 2001, and it is partly what attracted Simpson to his new position. “The global health field is changing and I think VillageReach represents the future of international non-governmental organizations (NGOs),” he said. 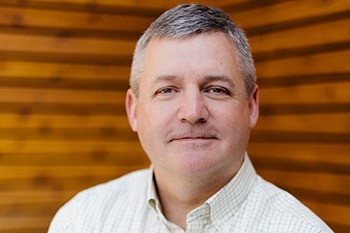 During his tenure at PATH, Simpson held a variety of roles starting as the organization’s first director of communications in 2001. “My job was to tell PATH’s story, which was a complicated and challenging role,” he explained. With a desire to do programmatic work and apply the training from his Master of Public Health degree from the University of Washington, Simpson left his communications role to work on Rotavirus vaccine introduction. He held a variety of positions before taking over the interim director role with PATH India. “PATH has given me so many different opportunities along the way to create programs and projects of interest to me, which is why I stayed so long,” said Simpson. “I learned a lot and had a lot of diverse experiences.” While at PATH, Simpson was accepted into the Executive Doctoral Program in Health Leadership at the University of North Carolina at Chapel Hill and will soon complete his DrPH degree.